We’ve all seen those incredibly cheesy quotes on Facebook and Instagram that go something along the lines of “Life is better when you’re laughing” or “Laughter is the best medicine”. I remember scrolling through Twitter and seeing a fun fact that said that just smiling puts us in a good mood if we’re upset. I wanted to do some research to find out if any of this is true, especially since laughter is such an easy and free way to make ourselves feel better. According to this article published in the Lancet Oncology Journal, laughter is a great form of therapy because it makes patients feel better, it releases endorphins in our brain, and it’s a proven, free way to recovery faster after surgery. Aaron van Dorn, the author of this study, uses laughter as a therapy for cancer patients. Cancer, something that is extremely devastating and affects millions of people, causes many people to become depressed, anxious, and even suicidal. Dorn plans on combatting this in his patients with laughter. He has a comedian come in to perform for the people in his hospital, and has noticed excellent results. 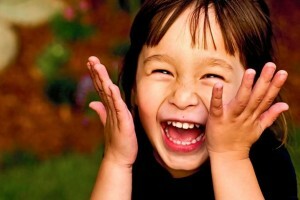 According to the Chopra Center, laughter has many great benefits to those who do it on a daily basis. There has even been a thing called laughter yoga, which is a practice that includes prolonged voluntary laughter! This entry was posted in Uncategorized on October 21, 2016 by Kateryna Okhrimchuk. I think there’s a lot of room for progress in this kind of therapy. It’s such an obvious idea that being happy and seeing other people happy and having a good time should make you feel better! Too many people try to look at laughter being a “medicine” far too literally. No, it’s not gonna cure any diseases. No, it’s not gonna heal any wounds. But there’s so much it does for you mentally that helps you get through emotional damage, and possibly keep your spirits up during an illness or after getting hurt, even when it can’t physically heal you. Aww I thought this post was so cute! I love laughing and being around people who make me laugh, so im happy to hear that it is good for you! I definitely think it should be used as a type of therapy more often, because when people get sick, they typically become depressed and need something to uplift their spirits.